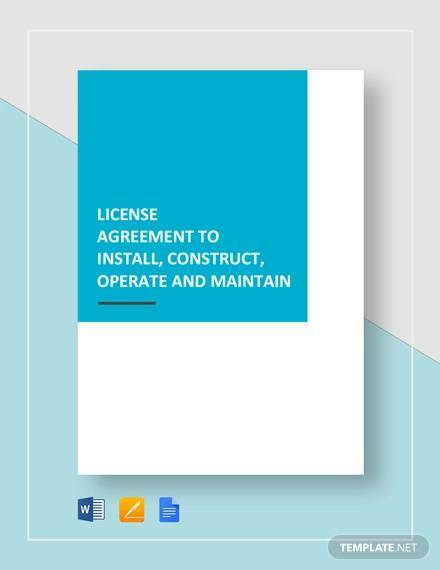 In this world of give and take, where all units depend on each other, license agreements play an important role. 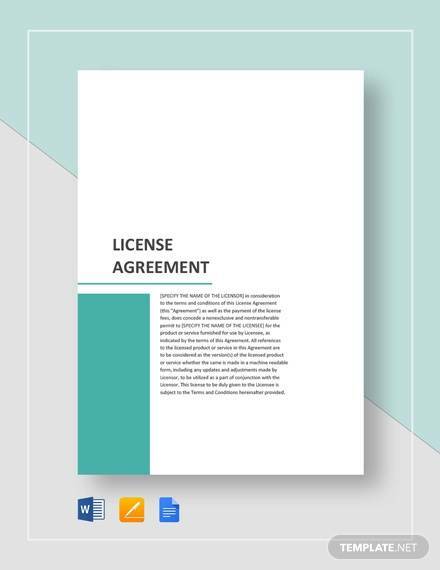 License agreement is a legal agreement between two parties in which one party allows the other to use or develop something whose rights actually belong to the former. 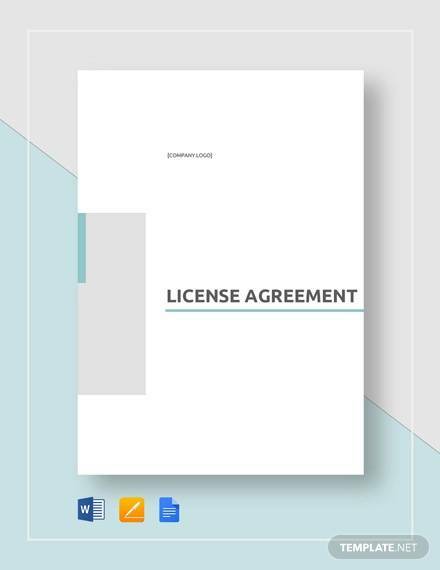 In legal terms the two parties are known as the licensor and the licensee. 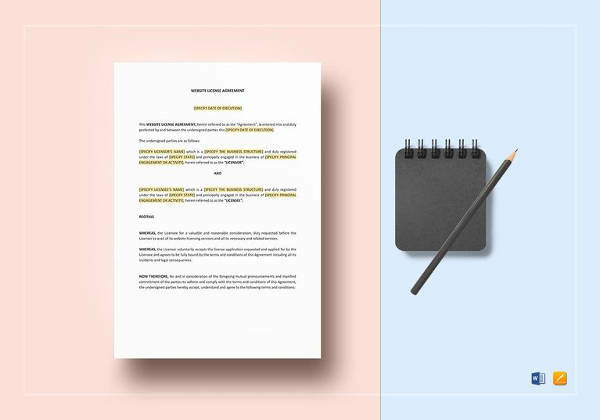 This Sample Vehicle Purchase Agreement Templates helps settling any kind of dispute that may arise between the two during any later stage. 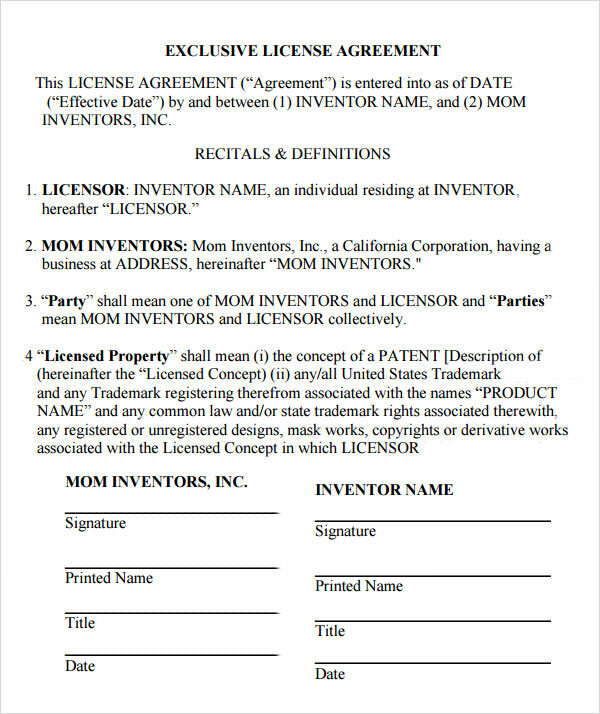 A person who has invented something usually owns the rights for this product. 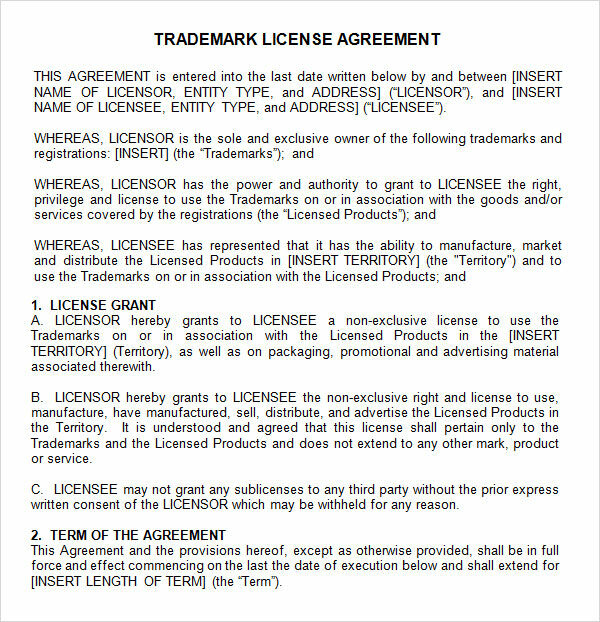 But, he can go ahead and allow another party to manufacture this product on his behalf. 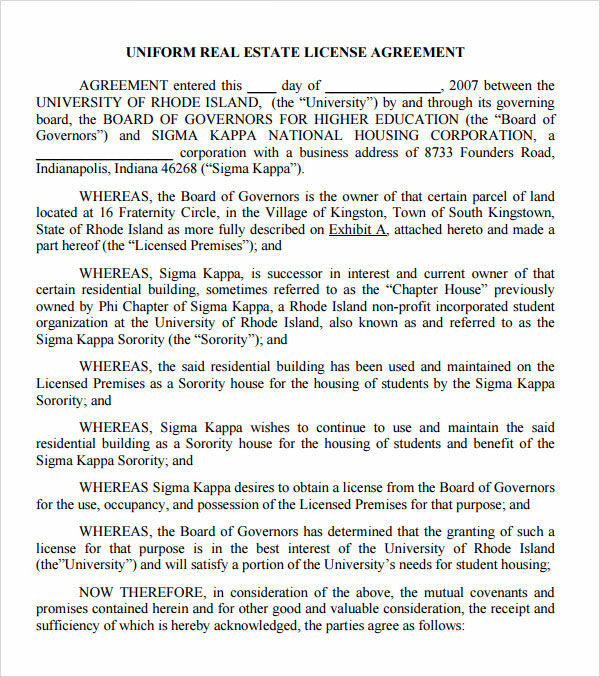 However, this is done only after the two parties sign an agreement. 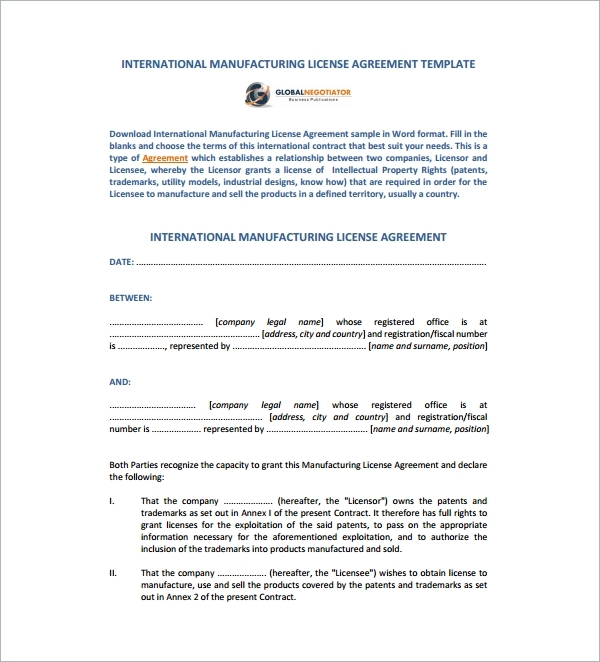 A manufacturing license agreement template outlines all the relevant clauses and can be customized as per the requirement of the parties concerned. 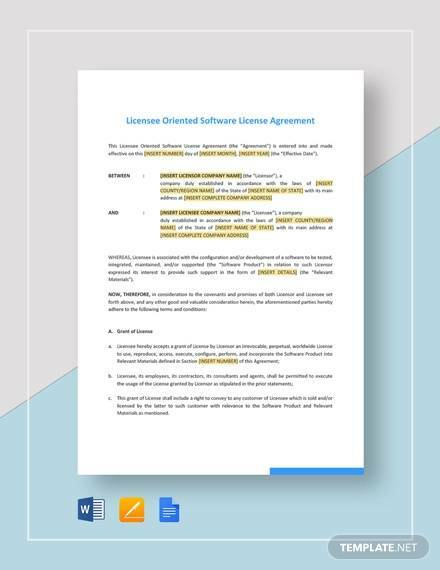 Also known as the End User License Agreement, this is signed by the software developer and the person or organization who buys it. 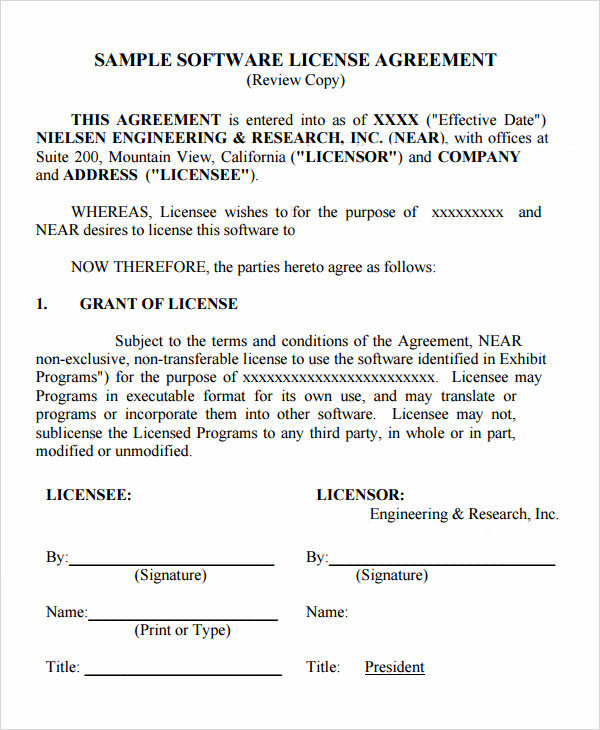 By signing this agreement, the developer authorizes the buyer to use the software. 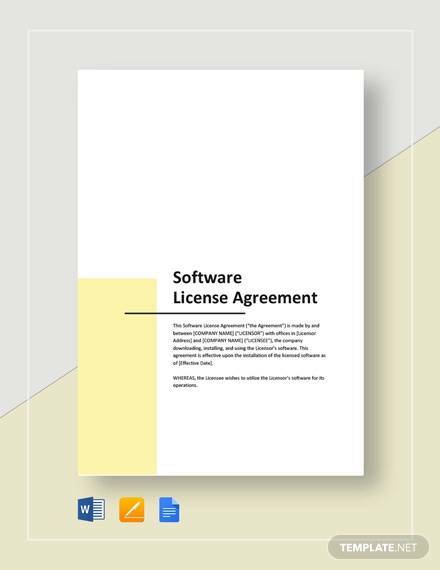 A software license agreement template comprises of all the terms and conditions which are a must in such dealings. 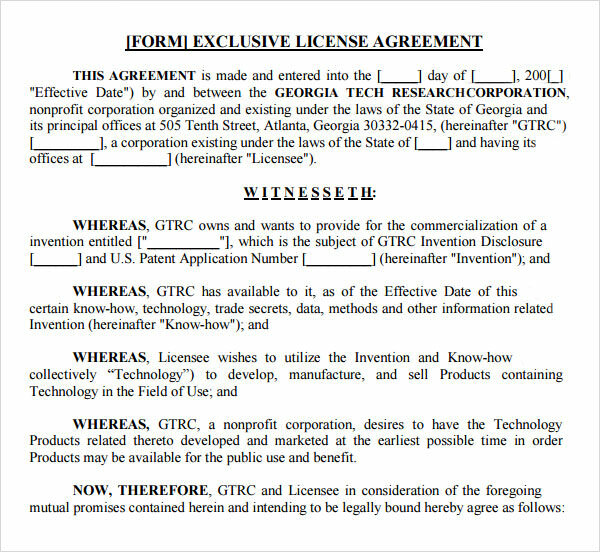 This is also known as a Patent License Agreement. 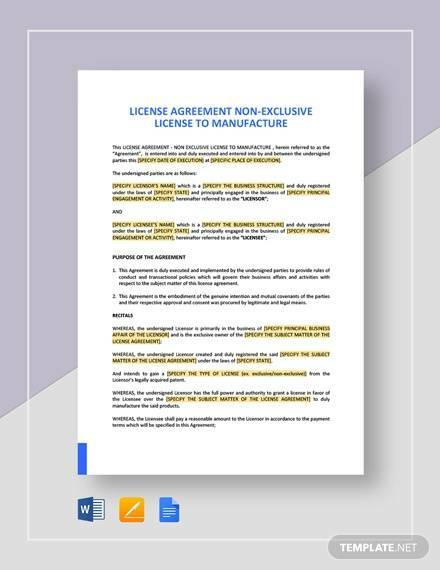 This is signed by two parties, when the owner of the trademark or the patent allows the other to manufacture products under this. 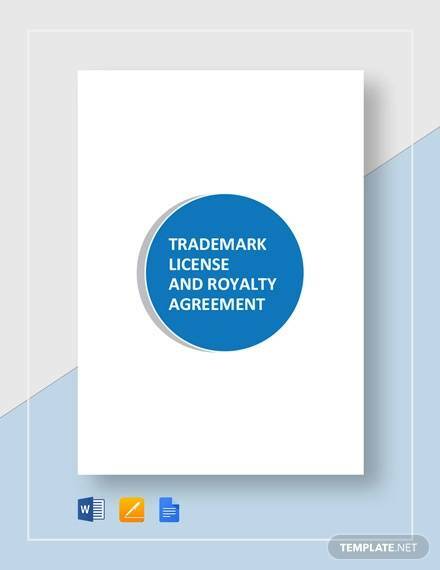 A trademark license agreement template outlines all the important clauses which the parties need to adhere to for a peaceful association. 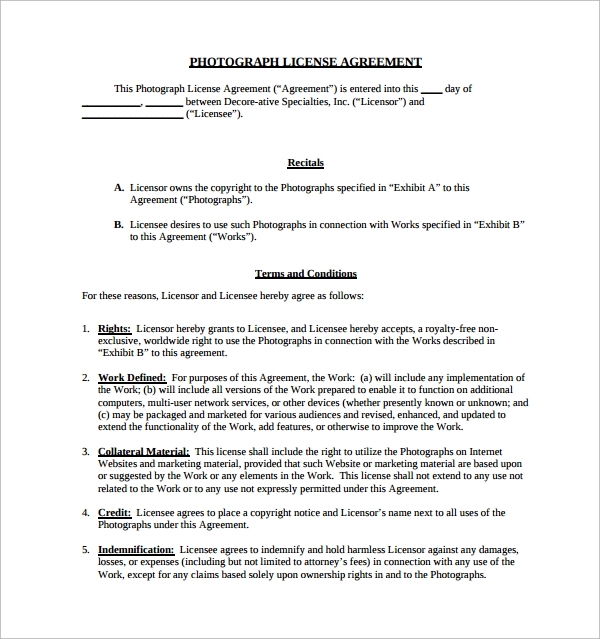 When a photographer allows an agency to use the photographs clicked by him, the two parties are required to sign a license agreement to legalize things. 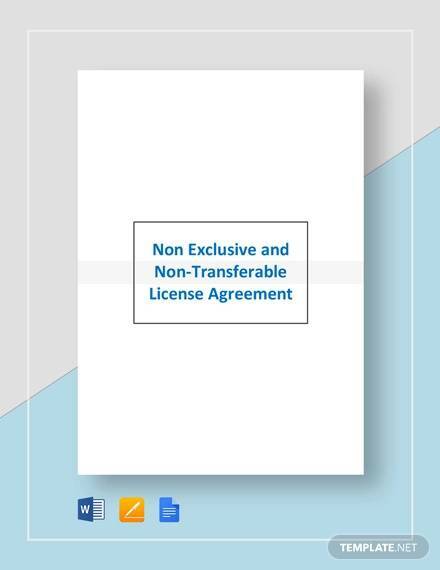 This is known as the photo license agreement. 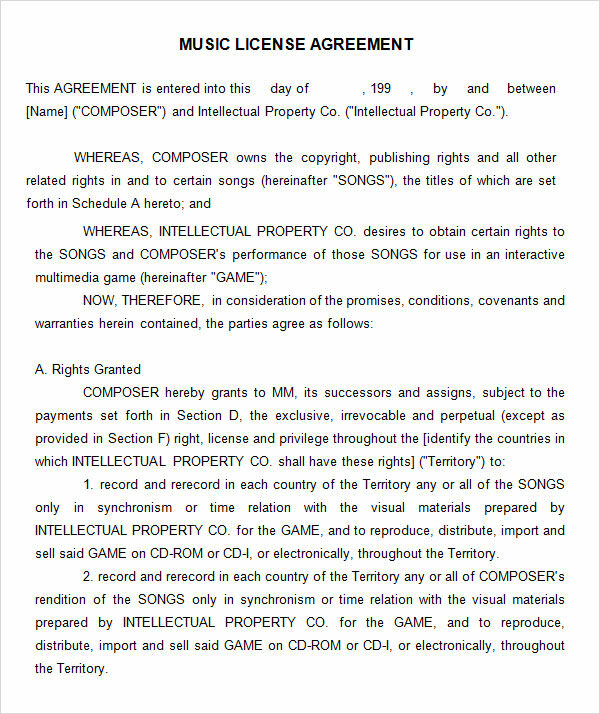 Using the template of this agreement makes it easy for the parties to customize and sign it. 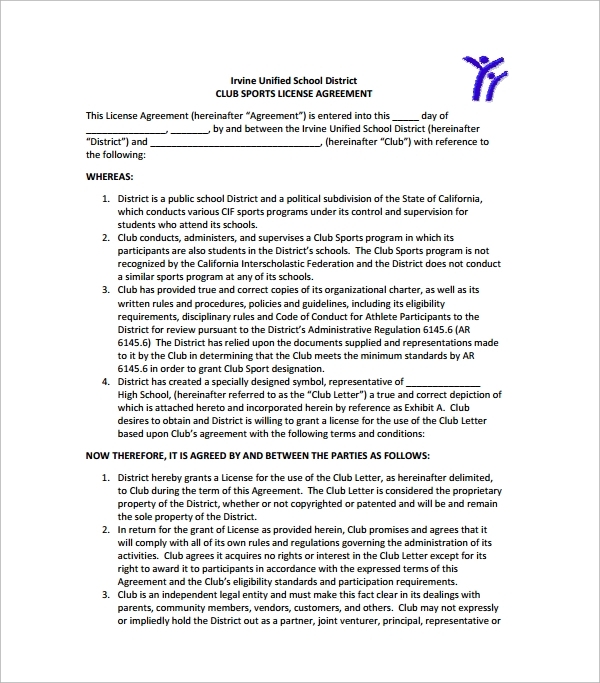 This agreement is usually entered into by a sports team and a company. 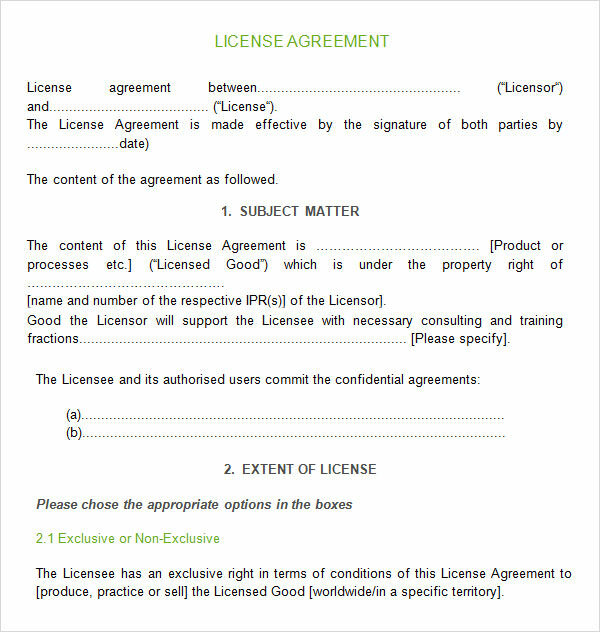 By signing this agreement, the team allows the company to use its name and logo for the various products that are developed or sold by the company. 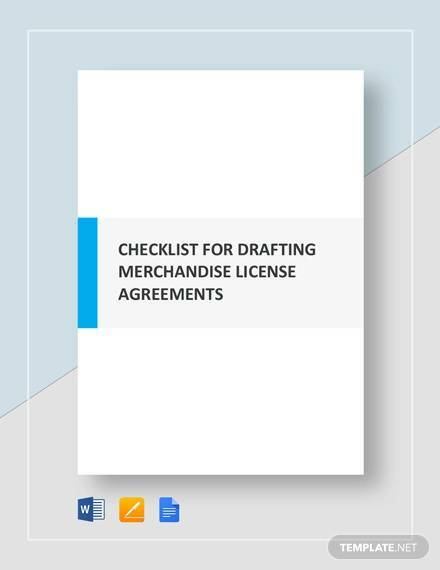 A sports licensing agreement template contains all the important clauses and terms which both the parties need to follow. 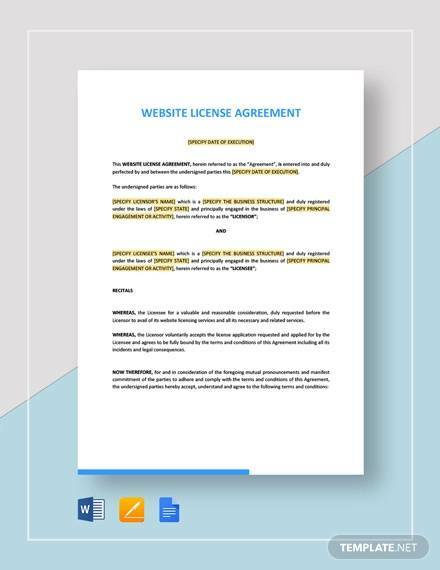 Since this can be used as a legal proof, getting the help of a lawyer or expert would definitely help. 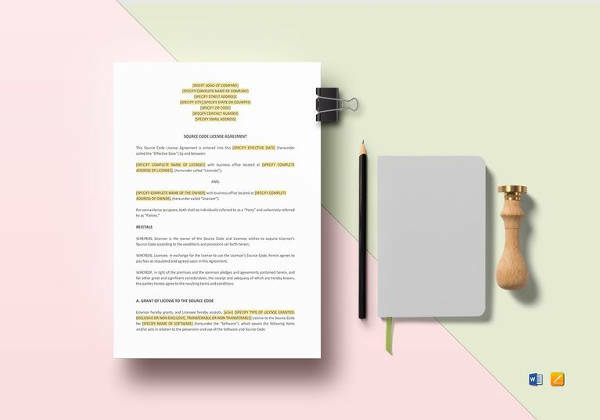 Make sure to add in all the clauses and terms which both the parties need to adhere to. 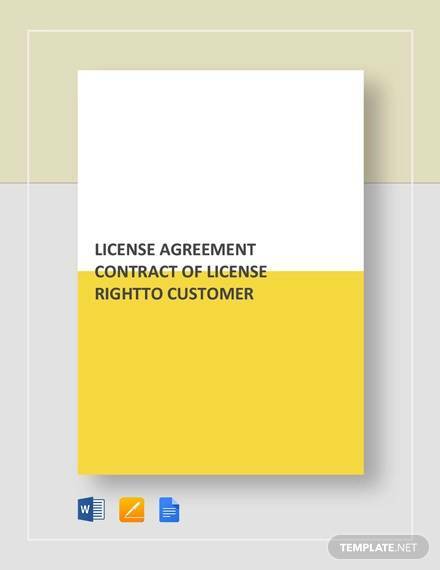 Give a clear idea about the product which the licensor is offering and his expectations of the licensee. 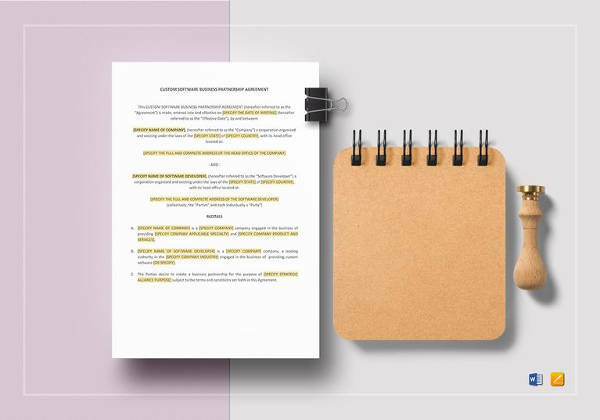 Improve the readability of the Settlement Agreement Templates by breaking the content into smaller paragraphs. 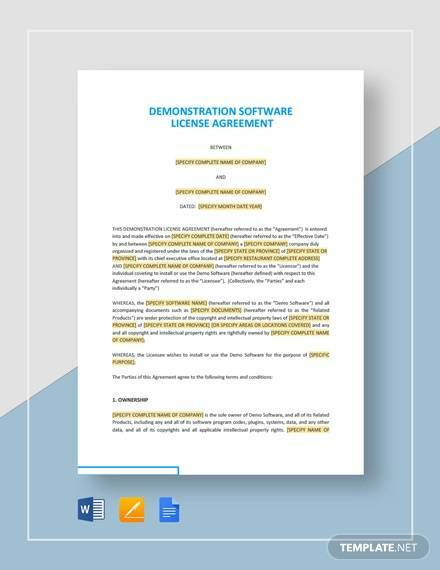 We offer a wide range of license agreement templates to choose from. 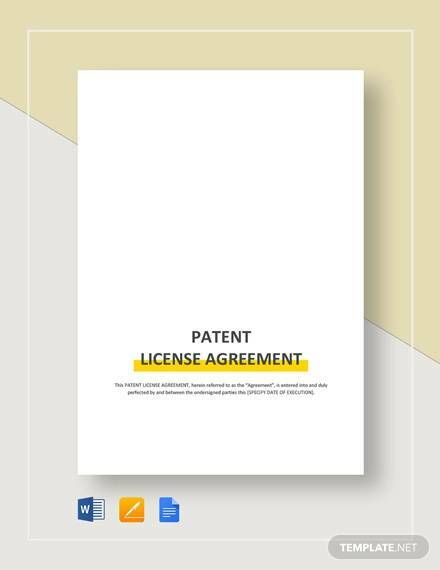 These are ready to be printed and can be easily customized. 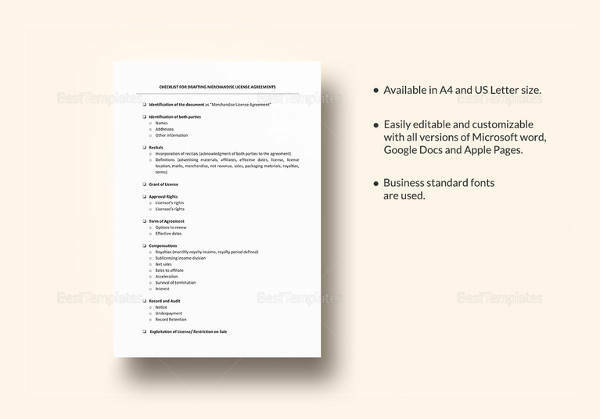 Available in both PDF and Word form, these work well with all operating systems. 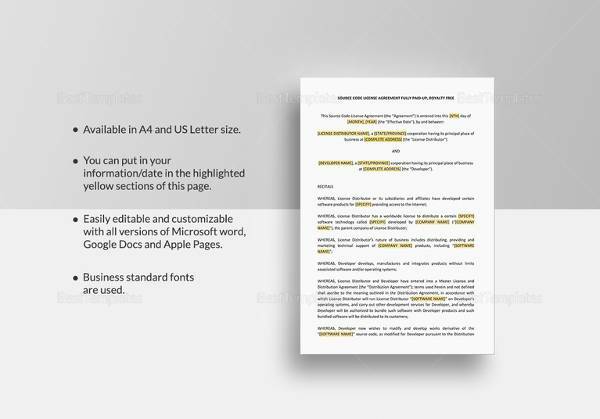 We would be more than happy to make any changes to our templates as per your requirement, so feel free to share your thoughts with us.